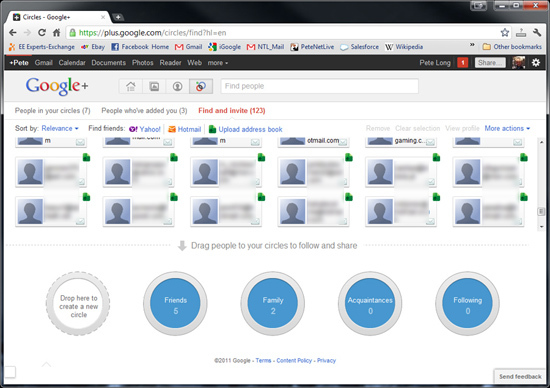 I like Google+ it’s clean and free of junk. There are no annoying applications, and unlike Facebook (which gets thousands of pieces of Malware a day posted to it), It’s gaining new users at an alarming rate. However migrating your friends is not a simple task, most posts on the web involve creating a Yahoo mail account and using that to drag the people across, this method is much easier and works a treat. This process relies on using the Google Chrome Browser to perform the operation. You can uninstall it later if you wish, but it’s by far my favorite browser so run with it afterwards. 1. 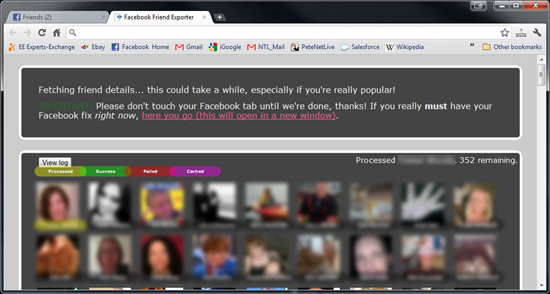 Once you have the Google Chrome browser running, go here and install this chrome plugin. 2. 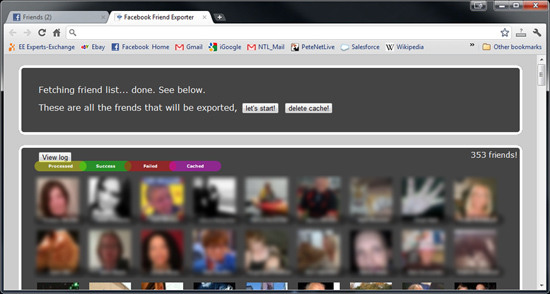 Log into your Facebook account and you will see a new “Export Friends” Button. 4. Tick the box > Click “Let’s Get Started”. 6. Now would be a good time to go for a coffee this can take a while! 7. 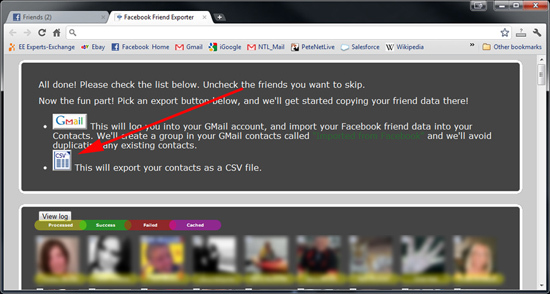 If you have a Gmail account you can import your friends as “contacts” which will get added into Google+ anyway. 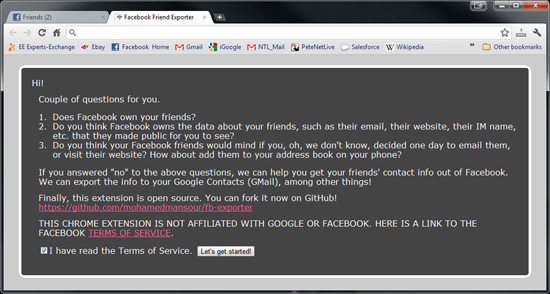 I do have a Gmail account but, let’s do this manually. 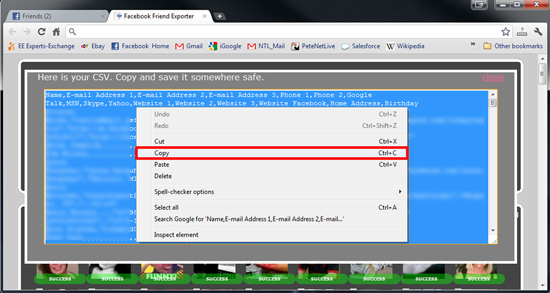 Click the option that says “CSV This will export your contacts as a CSV file”. 8. 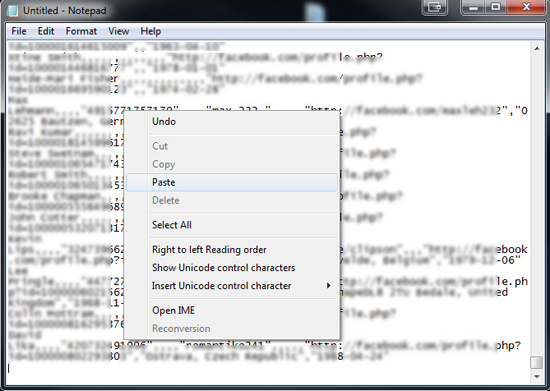 Click inside the text > Press CTRL+A (to select all the text) >And copy the text to your clipboard. 9. Open Notepad, and paste in the text. 10. 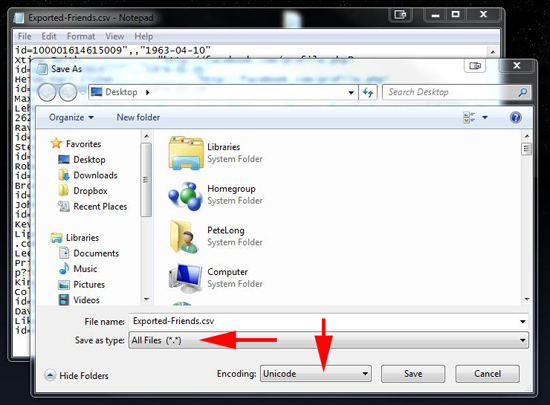 Save the file > Change the “Save as Type” section to “All Files” > Change the encoding to Unicode > Call the file “Exported-Friends.csv” > Save it somewhere you can find it. 11. 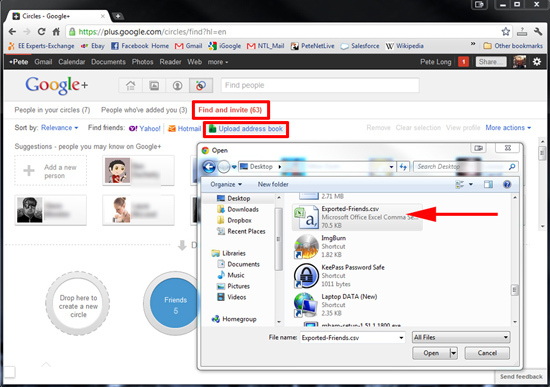 Log into Google+ >Go to your “Circles” > Select “Find and Invite” > Select “Upload address book” > Browse to, and select the file you saved earlier. 12. Log into Google+ >Go to your “Circles” > Select “Find and Invite” > Select “Upload address book” > Browse to, and select the file you saved earlier. 13. There’s all your friends! You can now invite them into your “Circles”.